As it has delved deeper into the saga of Firestorm, The Flash has surprisingly lost sight of one of its core pillars. Deciphering what exactly is happening with Ronnie Raymond and Martin Stein while also pushing forward the investigation of Nora Allen’s murder has led to several episodes ironically lacking in firepower. 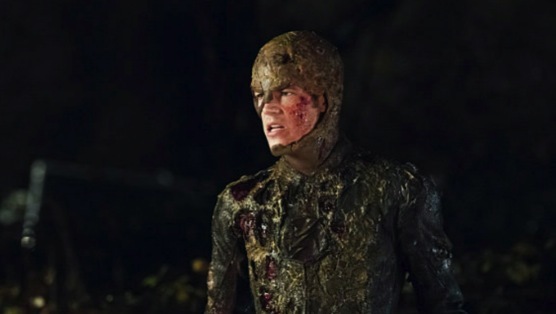 Like Arrow before it, The Flash has been categorically an action show from its inception. It has lived up to that moniker impressively most weeks, but the past few episodes have brought more exposition than excitement. Last week, I was rather positive on The Flash, only to quickly reverse course the following morning. I have often given this show the benefit of the doubt because, for the most part, it handles its business week to week. Yet, it can’t be denied that recent hours have lacked the sense of adventure that was so apparent the first half of the season. It’s understandable, as all can’t be peaches and cream for Team Flash throughout the season, but just because the show is dealing with deeper issues, it doesn’t mean it needs to lose its sense of wonder. A large part of that wonder has been the fight scenes, which have been underwhelming of late, particularly due to their dwindling length. Tonight was a prime opportunity to instill the same sense of awe with Firestorm and The Flash taking on General Wade Eiling (seen earlier in episode five) and his team of grumpy soldiers. What we got instead was an episode filled with numerous scenes of testing, and lots and lots of explaining. The Flash is, mostly, able to get away with this without boring the audience because the exposition is truthfully rather interesting. As someone not well-versed in the history of Firestorm, learning how Ronnie and Martin existed as two minds in one body, and seeing the affects of their entanglement was nerd heaven. As my colleague Ryan McGee pointed out last week, Firestorm is a character built for the page whose internal turmoil isn’t easily translated to the screen. That was especially evident last week, with Robbie Amell delivering what can only be described as an awful Vincent Garber impression, but with the two separated in “Fallout,” that clumsiness was mostly smoothed over. It also made for some genuinely awesome comic book moments, such as Ronnie carving a message in his arm so that it would appear on Martin’s. Still, I couldn’t help but think that an opportunity was wasted once I saw Firestorm flame on alongside The Flash, only to have it end a few short minutes later. Meanwhile, Joe told Barry about his future time travel, which didn’t seem to affect the speedster as dramatically as anticipated. Certainly learning that you will eventually travel back in time to attempt to change the course of history is a life-altering tidbit of information, and while Barry certainly was altered by the reveal, he took it more in stride than I had expected. With his sights now fully set on saving his mother, it’ll be interesting to see how Barry moves forward with the information at his disposal. I can’t imagine an actual time travel scenario occurring for several seasons, but with the speed at which the Harrison/Man in Yellow storyline is progressing, I wouldn’t be shocked to see it come to fruition sooner than common thought would suggest. Now that Firestorm is off figuring out his powers, and laying low from the government, more room should open up for the rest of the series to breathe. While I have mostly enjoyed the Firestorm aspect of the show, it has clogged up the pipelines. The Flash is at its best when it is extremely focused, and with the first season winding to a close, Team Flash should be able to regroup and hone in a singular storyline (or a handful of storylines) that have been in play since the beginning. My expectation is that the show will focus primarily on Harrison/The Man in Yellow and Nora’s death for the remainder of the season, but Grodd stands as a possible wild card. Each successive week in recent time has brought more glimpses of the villain (including our best look yet last night, as Harrison ostensibly fed Eiling to Grodd), who could easily be situated as a late-season supervillain, but also one that is merely introduced and set up for next fall. Either way, I fully expect The Flash to return in a month and hit the ground running. The writers have shown a clear control over their long-term story since the beginning, and now is the time for it to payoff. ?And so we wait. After tying a bow on the Firestorm storyline, The Flash will catch its breath for the next month. Easily the worst aspect of last night’s episode was this information, as I can’t wait to see where the show will head in its final third. Alas, there is nothing to do but obsessively re-watch the previous 14 episodes and develop numerous theories on what’s to come. See you all on St. Patrick’s Day.